What is the Transfer Tool? The OI transfer tool is a portable, clinically meaningful, person-focused tool designed to help improve the transition experience for adolescents and young adults living with OI. Once completed, the tool summarizes the adolescents’ time spent receiving OI care in the paediatric setting, and is intended to be given to their receiving primary care physician or nurse practitioner in the adult health care system at the point of transfer. The tool covers a range of topics including: insurance information, psychosocial needs, activities of daily living, transportation, family history, immunization, major surgeries and hospitalizations, pain management, radiographies, medical equipment and follow-up needs. The impetus for the project was derived from undergraduate nursing student Jaimie Carrier. Ms. Carrier experienced a difficult transition to adult care for her childhood onset condition. Meanwhile, Dr. Argerie Tsimicalis recognized the need to address the transition gaps for young adults with OI. 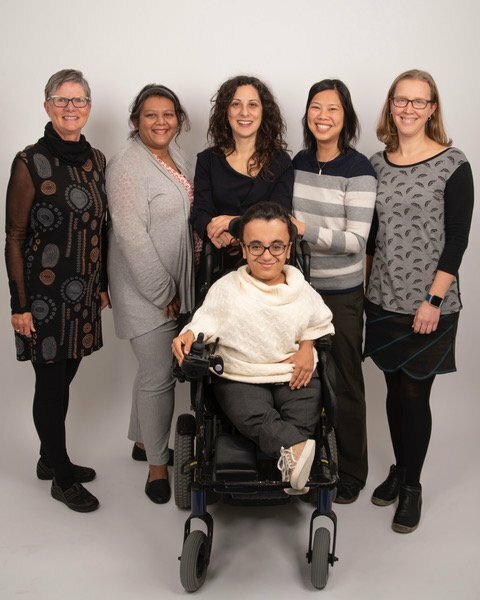 Together, they mobilized the OI team to help create a tool to fulfil a gap in resources for young adults transitioning from the paediatric to adult care system. Who was behind the project? What kind of methods were used? At the Shriners Hospitals for Children®- Canada, an interprofessional expert task force (Task Force) with expertise in OI was convened to create the transfer tool. We followed the methods used to create evidence-based practice guidelines, which is a type of knowledge synthesis study. Our Task Force was composed of 9 members including: a primary care nurse practitioner and clinical nurse specialist who practices in the child and adult healthcare systems, a paediatrician scientist, a clinical nurse specialist, two registered nurses, two physiotherapists, an occupational therapist, a social worker, an administrative decision maker, and two former patients of the child healthcare system including one with OI and one with a different childhood-onset chronic illness. The first draft of the transfer tool was created using information retrieved from published research and transition tools available in North America (published and unpublished). Over a one-year period, the draft was refined by the Task Force until consensus was reached, ensuring all components deemed essential for a successful transition to adult health care were included. What is the purpose behind the transfer tool? Having a portable and comprehensive summary of the adolescent’s key information plays a significant role in a successful transition. It empowers adolescents to take charge of their own health by encouraging them to fill it out with – and not by – the interprofessional health care team. By equipping patients with a concise summary of their OI history, we are also hoping to reduce the apprehension some health care professionals may experience when having to care for adult patients with a childhood-onset chronic condition. How were the patients involved? Two former paediatric patients with a childhood-onset chronic condition were part of the Task Force (Carrier and Chougui). 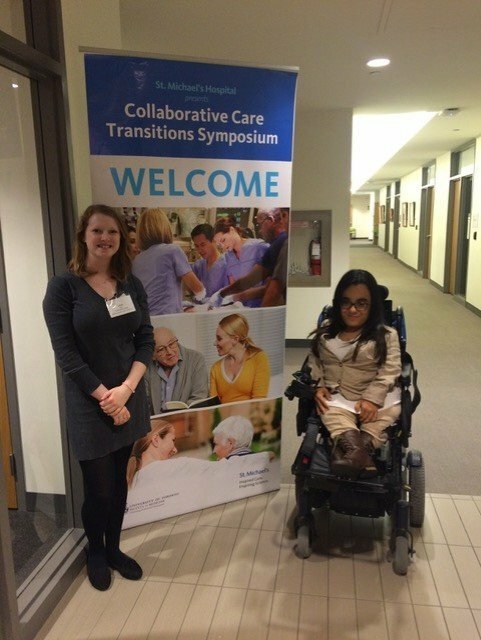 They also attended the Collaborative Care Transitions Symposium in Toronto to inform the creation of the tool (See Picture). Our Task Force also gathered feedback from the patients and their families who receive care at the Shriners Hospitals for Children®-Canada and those who attended the OIF National Conference 2016. We received valuable feedback from patients and families that was integrated at various stages of development and collectively reflect the final version. Can other countries use this/translate this to their language? Other messages to the readers of OIFE Magazine? The process of creating guidelines and tools is iterative, ongoing and subject to change with more information. We welcome feedback from the global community, so we may enhance the tool, and would love to hear how the tool is being used in practice.